Raw Chocolate Making Workshop - We delve into the wonder of chocolate - and the difference to everyday chocolate? There's health to be found here. Everyone who's done this workshop so far has loved it and gone away inspired (and most I still hear about them making their own chocolates with confidence time and again). Juicing and Smoothies for Beginners - An experiential workshop with recipes to take home, juices and smoothies to try and information about how, why and what. Mindfulness workshop - A two hour session giving an introduction to mindfulness as well as practical mindfulness exercises. A great way to discover more and see whether it's something you'd like to explore further. Get in touch if you want to be updated about the next available sessions. I'm on em@emmacolley.co.uk or phone 07734 861297. One to One Juicing and Smoothie Making sessions. Running at your home for just £75 for a one to one session (and you could invite a friend or two). This is an introduction to making juices and smoothies and an experiential workshop. All ingredients, a handout and recipes are provided. I can work with your kitchen equipment or bring along my juicer and blender. Email or phone to book. If you belong to a group that’s looking for a speaker, I’m always happy to come along and talk about either homeopathy or food. Usually the talk can be tailored to your requirements so do feel free to speak to me about what you are looking for. 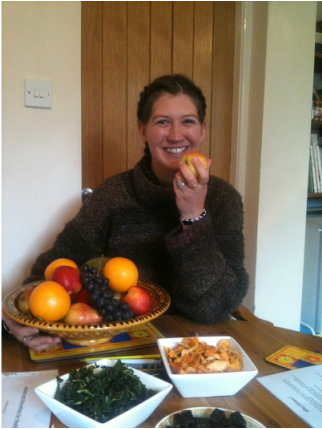 I enjoy running workshops based around some of my great loves – homeopathy, mindfulness and food! I also run introduction sessions to homeopathy and 1st aid workshops as well as practical juicing and smoothie sessions where you get to make your own and test several creations. I also love talking about raw food and its benefits – both as a short term plan or longer lifestyle choice.